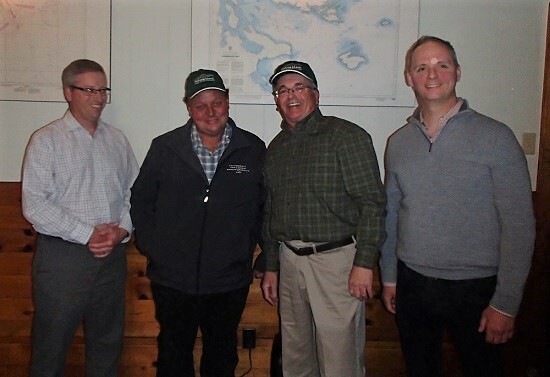 MICA held its 16th Annual General Meeting on Tuesday June 5th at 7 pm at the Lunenburg Yacht Club with 42 members in attendance. Highlights of the previous year noting the on-going transfer to the Province of donated lots of Zwicker Island and 1/2 of Ernst Island and a joint stewardship agreement with NCC concerning Snake, Lynch & Quaker Islands. Thanks to the estate of Rudy Haase for the donation of two valuable waterfront lots on Molands Point in East Chester. These lots have been transferred to the Municipality of the District of Chester under stewardship and conservation agreements. Comments of the Gala Dinner and Auction for the previous November thanking all donors, artists, committee members and helpers. Details on MICA fundraising over the past year with thanks to MICA funding partners. Details on MICA Corporate Supporters with thanks and appreciation. A summary of island and property acquisitions to date. Information on acquired property titles and stewardship. Introduction of and thanks to the current board of Directors. John concluded by thanking all in attendance for their continued support. Director and treasurer, Georg Ernst presented an audited detailed financial report. Bryan Palfreyman, Vice Chair and Director of the Nominating Committee presented the following slate of directors for the upcoming year. John Meisner was thanked for his outstanding efforts as chair of the Board and received a round of applause. Sharon Isnor was also recognized with a round of applause for her many years of dedicated work as a member of the Gala Dinner and Auction. Following the AGM, MICA members were treated to a lively and informative presentation on the legendary Oak Island. William "Billy" Gerhardt, who owns and operates William A Gerhardt Property Improvement Company, introduced the guest speaker, Charles Barkhouse. For years Charles has been the local Oak Island historian and now, he is also a costar and production consultant for the hit TV series, "The Curse of Oak Island". Indeed, Billy has also played a role in the series, operating heavy equipment and he can be seen in at least two episodes. Scott Robertson, Billy Gerhardt, Charles Barkhouse, Martin Balcome at MICA's 16th AGM. "The Curse of Oak Island" has been in production for 5 years, airing 62 episodes showing in 65 countries worldwide. It has received top ratings for cable television series,often rating number one. It is well loved by young and old, making it a great family show. This Nova Scotia story is now a world story, with the added benefit of increasing Nova Scotia tourism. Six hours after this summer's public tour tickets went on sale, they were sold out! Brothers Rick and Marty Lagina, from Michigan, are committed to continue the 223 year old treasure hunt regardless of whether or not they receive the go ahead for season six of the series. Furthermore, the brothers view themselves as stewards of the island and WHEN the treasure is found, they pledge to preserve the island for future generations! Dated May 22, 2018 on behalf of the board of Directors. Subsequent to the AGM, there will be a presentation about Oak Island including a bit of the island history and the recent efforts to unlock the mystery.